An adult male was killed in a crash on Capital Boulevard. 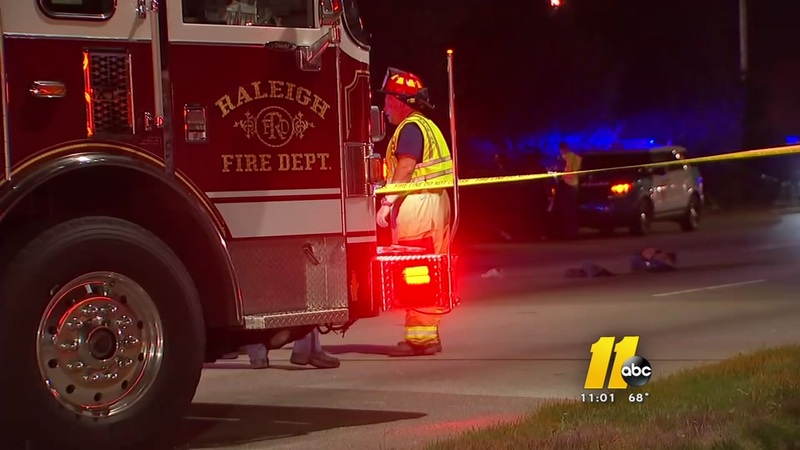 RALEIGH, NC (WTVD) -- Northbound lanes of Capital Boulevard near Old Buffalo Road were closed after a fatality crash Tuesday evening. Raleigh police said a pedestrian was killed during the incident in the 3400 block of Capital Boulevard. Raleigh police and firefighters were called to the scene about 6:20 p.m.
Officers said Erica Shanta was trying to change lanes when she passed a vehicle and struck and killed Ollie Merritt, who was crossing the street outside of the crosswalk. The northbound lanes of the 3400 and 3500 blocks of Capital Boulevard were closed while the scene was cleared. All lanes of Capital Boulevard have reopened.